seriously, i could finish the post there but then you might be interested in the details of the clothing and i would hate to leave you hangin'. 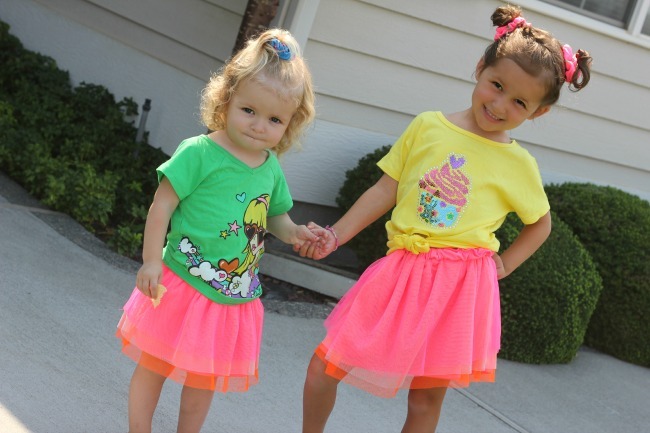 the adorable duds shown above were sent courtesy of FabKids. i'm sure you have heard of JustFab, the online shoe shop that provides affordably stylish footwear along with accessories. with over 1.8 million Facebook likes and fronted by none other than the incredibly awesome Kimora Lee Simmons JustFab does shoes and they do it well. 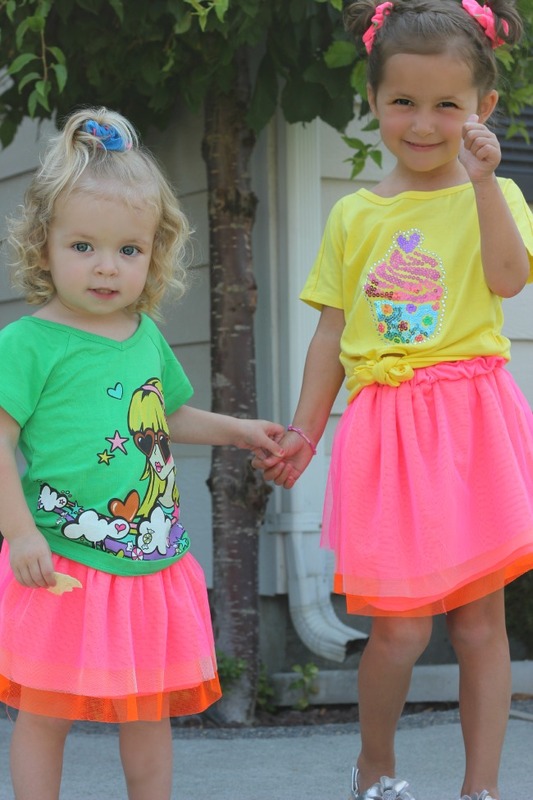 enter FabKids, a similar brainchild for children where you can pick up a three piece outfit for $39.95. creative partner and actress Christina Applegate helps design and curate collections that are offered monthly. each month you can check out your customized online boutique and if you like the outfit you can purchase and have it sent (free shipping!) ASAP. 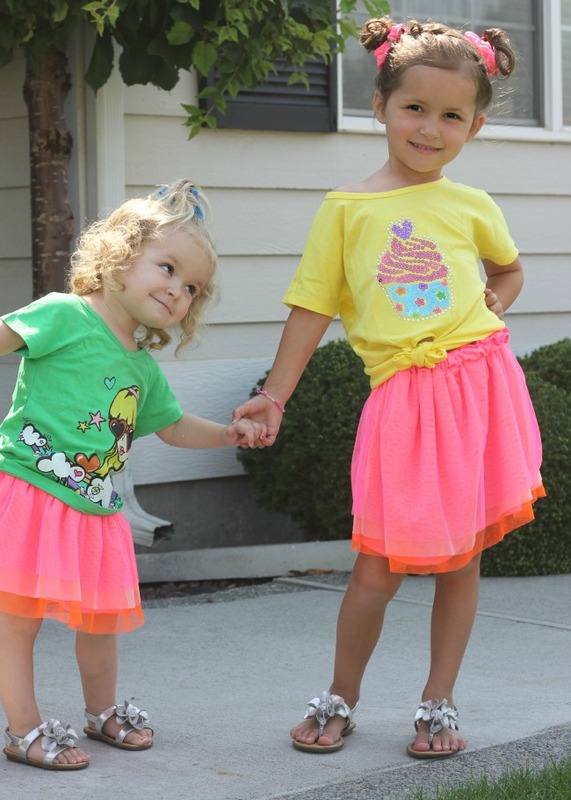 i am one of those moms who wants to live up every second of being able to dress my daughters and have them match without them balking. those moments are precious and i will take every chance i can get. this means that every shopping excursion involves finding coordinating outfits for both girls which is typically fun but sometimes daunting. my favorite part of the monthly capsule collections is that the outfits all coordinate making matching a cinch. 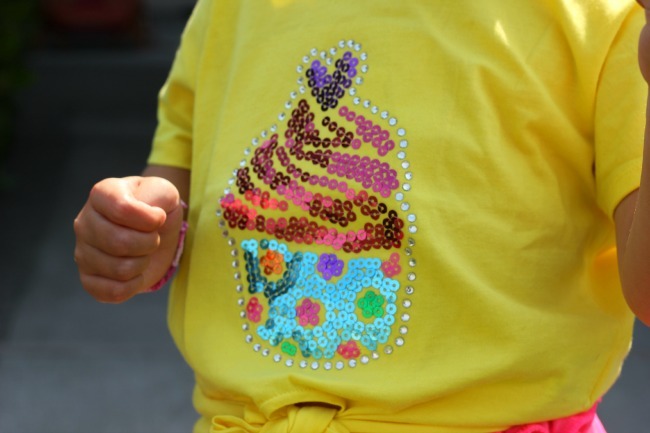 love, love, love the details of the sequins and rhinestones. 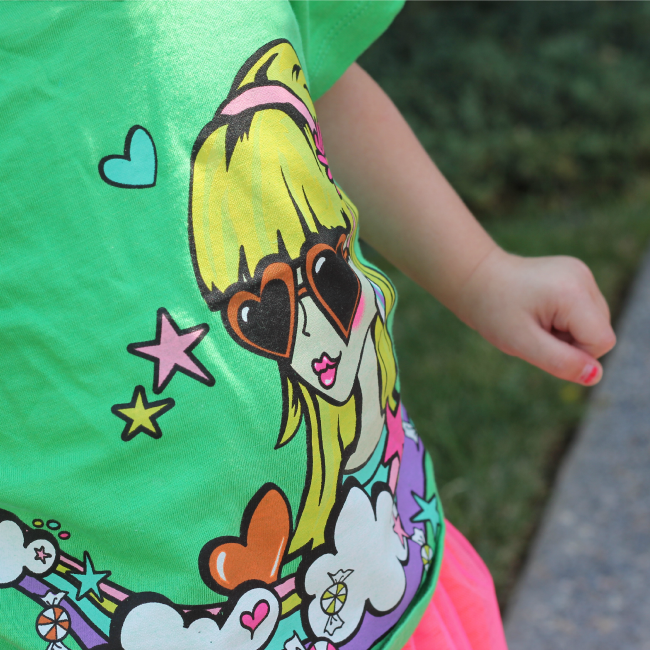 this tee has a definite anime vibe to it and it is adorbs. 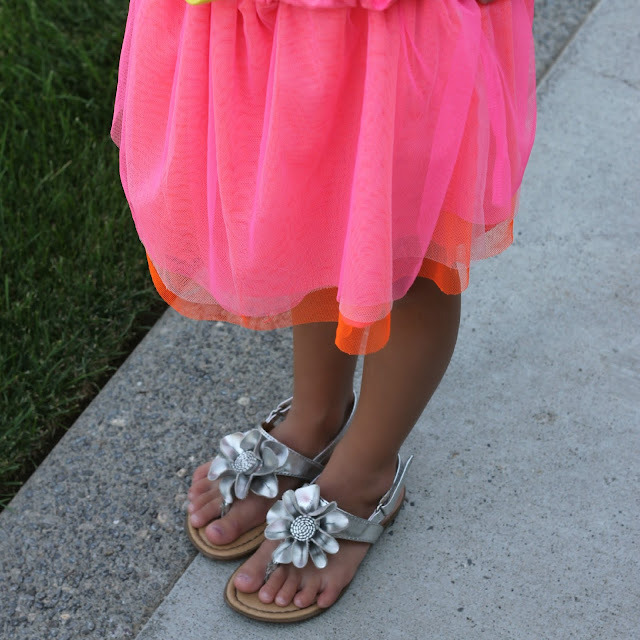 the layered tulle makes the neons pop. i couldn't help but add this last shot. little sis trying to strike a pose and checking to see if big sis is watching.